The Tar Heels secured a huge victory on Wednesday night when they took down the Duke Blue Devils in Cameron Indoor Stadium. UNC was led by its senior duo of Luke Maye and Cameron Johnson, both of whom were seemingly able to score at will inside the paint against a Duke squad that had no answer for them. Aside from being an incredibly important win over a hated rival, UNC also improved its resume for the upcoming NCAA Tournament, as the Heels now boast arguably the two best victories of any team ... See More in college basketball – Gonzaga and now the Blue Devils. Carolina gets little respite from Wednesday’s emotional win though, as the sixteenth-ranked Florida State Seminoles travel to Chapel Hill on Saturday with their eyes set on securing their own upset win. 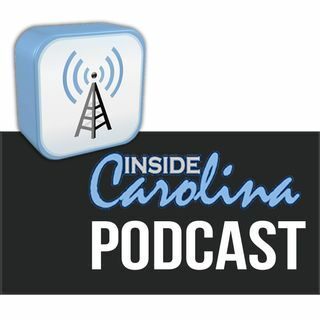 Inside Carolina contributor Sean Moran joins host Jon Seiglie to review the victory over Duke, preview the upcoming matchup against the Seminoles, and to also discuss the recent announcement that five-star forward Precious Achiuwa will be officially visiting UNC on March 9th.